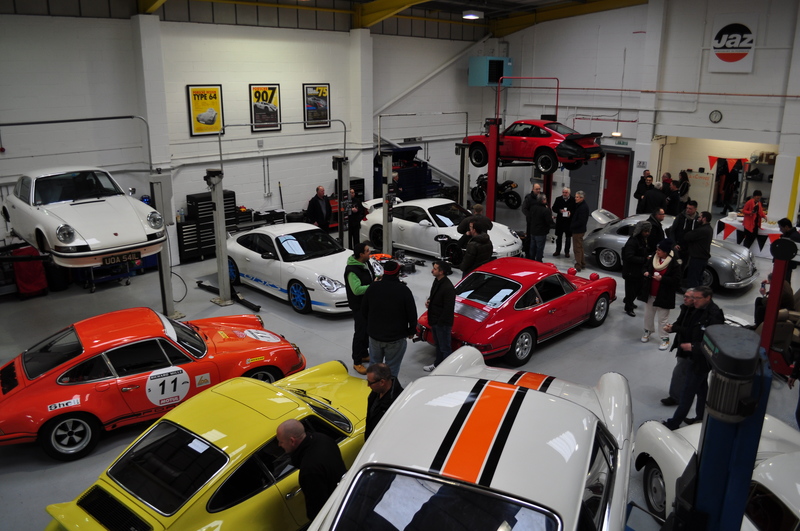 Jaz Porsche provided a great uplift from the January gloom by holding an open day to show off their new St. Albans premises and to display some of their projects and handy work. Sleet and snow meant that driving conditions were not ideal but the prospect of quick blast up the M1 in my old 911 to Steve and Claire Winter’s new premises and meet up with fellow Porsche enthusiasts over a drink and bite to eat was too good to miss. 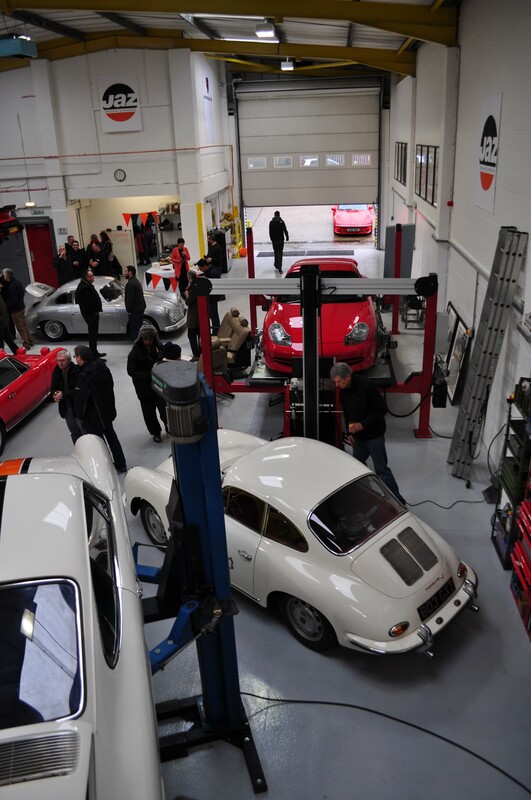 The new workshop is much more spacious than the one that Jaz left in Wembley and with fresh paint and great Porsche posters adorning the walls it looks like a clinically clean environment in which to service and restore treasured Porsches of all ages. A quick chat with Steve resulted in me adding to his order for US-sourced Salt & Pepper 911 carpet sets. Then a chat with Bruce Cooper from Sportwagen got me booked in for a paint check and trimming work to fit the new carpet set. Job done!